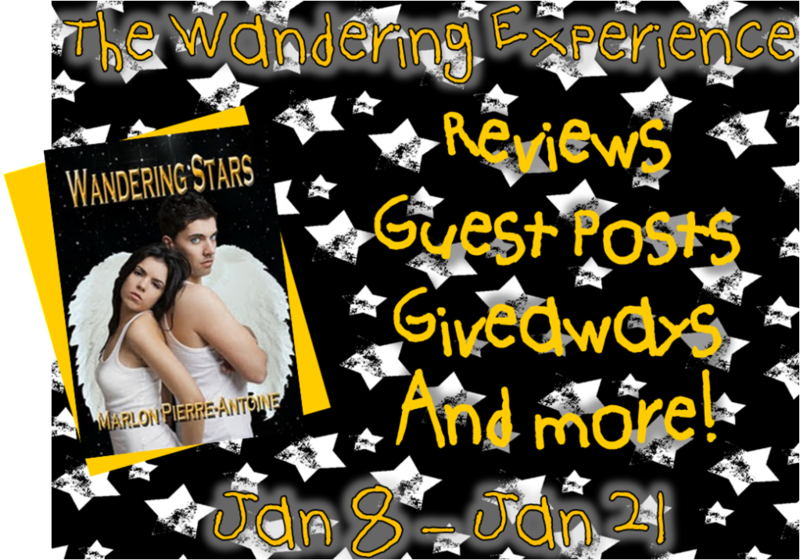 Today, I have Marlon Pierre-Antoine on the blog to promote her book, Wandering Stars. Take it away, Marlon! The reader should be cautioned that this list loses its credibility with breathtaking speed. 1. Learn multiple languages. I have a culural connection to Haitian Creole, and I really like Spanish, French and even – gasp – Esperanto. 2. Visit Mexico, Cuba and South Africa. And Russia. And France. Spain, too, and Brazil would be nice – okay, I'm going to change this one to visit every country. Wow, Marlon. You're aspirations are certainly...aspirational! :D But thanks so much for stopping by! Now, awesome readers, how would you like to know something about this book!? Alice Valdez is a normal seventeen year old girl living a mundane post high school life that consists of work, sleep, hanging out, and more work - but it all changes when a chance encounter on the beach one night leads to a series of haunting dreams that bring her face to face with the most ancient evil the Universe has ever known. And for one lucky winner I have an ecopy of Wandering Stars up for grabs!! All you have to do is leave a comment on this post and leave a way to contact you (email address, twitter, etc...). Giveaway ends 01/18/12.